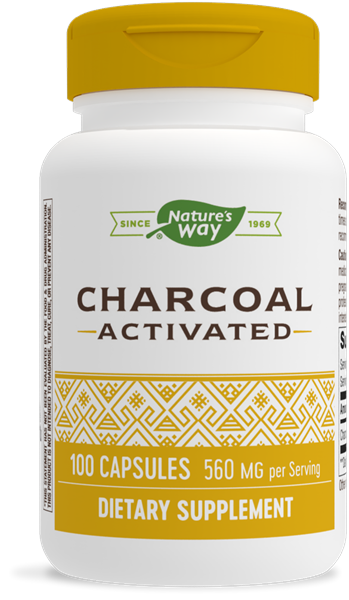 Activated Charcoal / 100 Caps - Nature's Way®. Take 2 capsules two to three times daily, 3-4 hours before/after meals or as recommended by a healthcare professional. Caution: Not to be taken at the same time as medications or other dietary supplements. If pregnant or nursing, consult a healthcare professional before use. This product is not intended as a treatment for accidental poisoning.